Alfre Woodard reads "Ain't I a Woman? 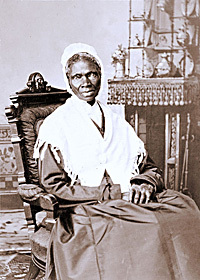 ", a speech delivered by abolitionist Sojourner Truth at the Women's Convention in 1851. Part of a reading from Voices of a People's History of the United States (Howard Zinn and Anthony Arnove,)February 1, 2007 at All Saints Church in Pasadena, CA.